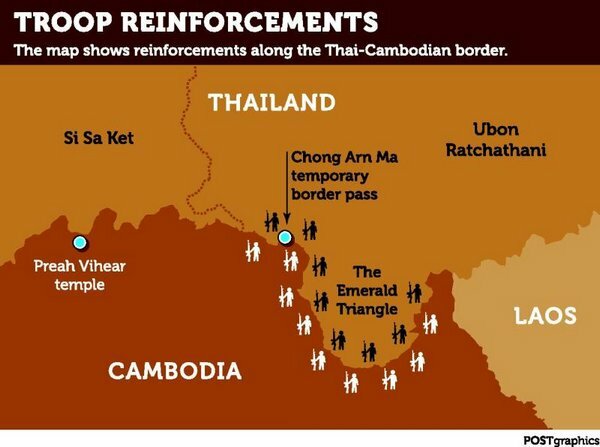 Thailand and Cambodia have boosted their military presence at a disputed border crossing in Ubon Ratchathani's Nam Yuen district after Cambodian authorities moved in equipment to begin work on a development... Read the full article at The Bangkok Post. បើសិនជាលោកស្រី ឡាក់ សុភាព អាចប្រមូលមនុស្សបាន៥០០នាក់មែននោះ ពិតណាស់ វាមានន័យថា លោកស្រីពិតជាមានអ្វីអាថ៍កំបាំងពីខាងក្រោយហើយ ព្រោះថា លោកស្រីជាបុគ្គលមួយរូបដែលមហាជនមិនធ្លាប់បានស្គាល់លោកស្រីពីមុននោះទេ តើមានឥទ្ទិពលអ្វីដែលលោកស្រីអាចអូសទាញឲ្យមានការគំទ្រលោកស្រីក្នុងការចូលរួមធ្វើបាតុកម្មថ្ងៃស្អែកនេះ? A casino and hotel project allegedly planned for a disputed border area has sparked a military standoff between Thailand and its neighbour Cambodia (file photo), reported the Bangkok Post newspaper on Wednesday. The tension relates to a piece of land near a temporary border crossing at Chong Am Ma, which is wedged between Thailand’s Ubon Ratchathani province northeast of Bangkok, and Cambodia’s northern border province of Preah Vihear. Both countries claim the wedge of land as sovereign territory, although its ownership is linked to a wider border row, lasting at least a century, over the nearby Preah Vihear Temple complex. The English-language media outlet said the simmering border row came to the boil again after Cambodian authorities allegedly moved in equipment near Chong Am Ma as part of a project to build a casino and a hotel, develop a local market and expand roads. Cambodia allows casinos whereas Thailand does not. 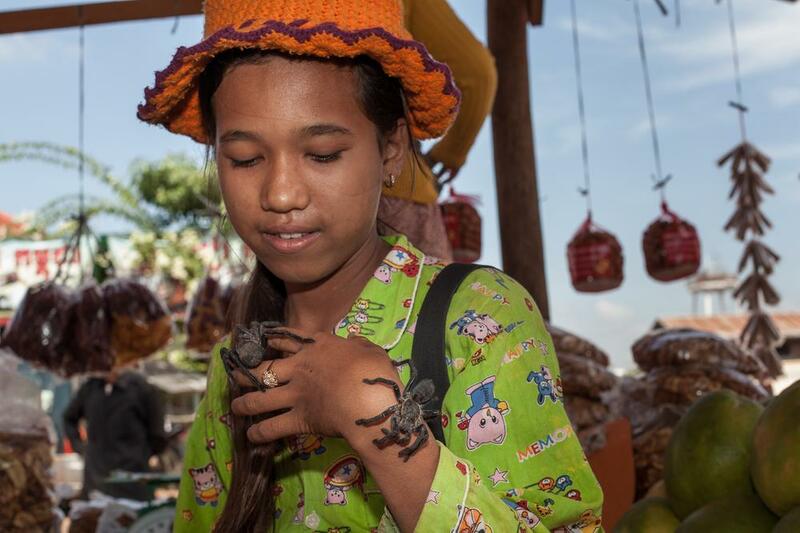 That has created a market for small gaming establishments – normally in undisputed areas on the Cambodian side of the border such as Poipet – that mostly serve day-tripping Thai customers. PHNOM PENH (The Cambodia Herald) -- Civil society groups working to protect Chhay Areng area in Koh Kong on Wednesday demanded opposition leader Sam Rainsy to make definite promise over fate of Chhay Areng after he quoted Hun Sen recently as saying that construction of Chhay Areng dam might not happen during this five-year term. The group held a news conference to raise issues of controversial dam project in Koh Kong's Chhay Areng area, and their positions in protecting the area and announced to stage protests if there is no solution. Speaking at the news coference, Ngoem Sao Samkhan, head of one of civil society groups, said that "Stung Areng has seriously been affected by the company as well as authorities who are intended to destroy our kingdom's final natural resources." "As a monk, I am committed to do everything possible to prevent the company from developing and destroying our nature," he said, appealing to government to pay attention and not change its position. Heng Samnang, representative of Moha Nokor Youth Organization, said "we would demand Sam Rainsy to make clear promise to ensure that Chhay Areng hydroelectric dam will not be constructed. In the latest overture to Cambodia, China pledged $144 million in grants and no-interest loans Tuesday at the second meeting of the Cambodia-China Inter-governmental Coordination Committee, which was established last year to boost ties between the increasingly cozy countries. At a press conference following the two-hour closed-door meeting at the Ministry of Foreign Affairs in Phnom Penh, Foreign Affairs Minister Hor Namhong noted that China is now Cambodia’s largest foreign benefactor. Mr. Yang, who was China’s foreign minister from 2007 to 2013 and remains a top diplomat, said that Cambodia’s place within the Asean region made it an important strategic partner. “Cambodia is a very active member of Asean and helps to improve China’s relations with Asean,” Mr. Yang said. PHNOM PENH, Dec. 31 (Xinhua) -- Visiting Chinese State Councilor Yang Jiechi met with Cambodian Prime Minister Hun Sen on Wednesday and pledged to provide continued support to Cambodia for socio-economic development, a Cambodian spokesman said. "His Excellency Yang Jiechi told the prime minister that he was pleased to see excellent ties between China and Cambodia," Eang Sophalleth, a spokesman for Prime Minister Hun Sen, told reporters after the meeting. "Yang also said that China would continue supporting Cambodia in the areas of agriculture, water resources, telecommunication, defense, law enforcement and anti-terrorism," he said. According to the spokesman, Yang also promised to encourage more Chinese tourists and business people to Cambodia. For his part, Hun Sen highly spoke of Yang's visit to Cambodia, which he sees was vital to further enhancing bilateral ties and cooperation. The exchange of visits between the leaders of the two countries was a key factor to boost their comprehensive strategic partnership of cooperation, Hun Sen said. The prime minister also expressed his sincere and heartfelt thanks to China for paying special attention to the health of Cambodian King Norodom Sihamoni and Queen Mother Norodom Monineath. Why was Lak Sopheap expelled from the CNRP? ហេតុតអ្វីបានជាអ្នកស្រី ឡាក់ សុភាព​ ត្រូវបណ្តេញចេញពីគណបក្សសង្រ្គោះជាតិ? Ms. Lak Sophea said she was unjustly expelled from the CNRP because she didn't do anything wrong. Well, listen to what she said here. This is not the first time she is accusing the CNRP leadership of corruption. In fact, this is a repeat of her previous baseless allegations, which led to the party expelling her. A great spectacle, but also very dangerous! ស្ពានឫស្សី ឆ្លងទៅកោះប៉ែន នៅកំពង់ចាម ដែលមានទាំងមនុស្ស និងទាំងឡានម៉ូតូយ៉ាងច្រើន គួរអោយព្រឺ. The people, motorcycles and cars are waiting on a bamboo bridge to cross to Koh Pen (Pen Island) in Kampong Cham province. It looks like the bamboo bridge is going to collapse any time, but the people seem undeterred. 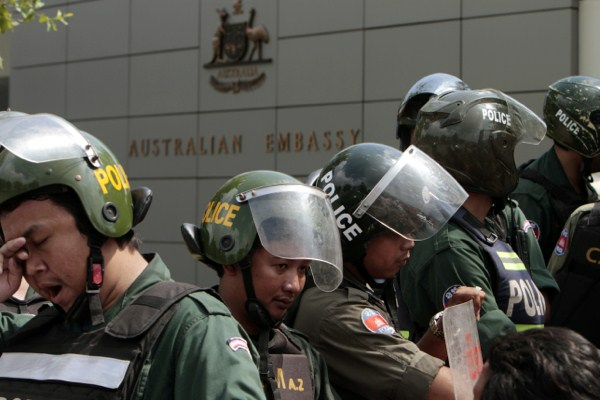 Cambodian riot police officers stand guard in front of Australian Embassy in Phnom Penh, Cambodia, Sept. 26, 2014 (AP photo by Heng Sinith). In September, the Australian government agreed on a deal to send refugees currently housed on the Pacific Island nation of Nauru to Cambodia for permanent resettlement. The agreement is a new twist in the Australian government’s efforts to deter asylum seekersarriving by boat on its northern shores. The Pacific island nation of Nauru currently hosts some 1,233 asylum seekers transferred there by Australia under a separate, earlier agreement, and they are still awaiting determination of their refugee claims. The Cambodian agreement is important for Australia because it provides a long-term solution for refugees on Nauru that does not jeopardize Prime Minister Tony Abbott’s pledge that asylum seekers arriving by boat will not set foot on Australian soil. But the arrangement has proven as controversial as almost every other strict Australian response to asylum seekers over the past decade and a half, under both Liberal- and Labor-led governments. NGOs, church leaders, the United Nations and even the Cambodian opposition have criticized the deal. The head of the United Nations Refugee Agency, Antonio Guterres, has urged countries like Australia not to “shift their refugee responsibilities elsewhere.” As legal challenges to the deal mount, they could have major consequences for how asylum seekers and refugees are treated and protected around the world. In a small village in Cambodia’s west, a tragic tale of international significance has caught the local authorities off-guard. An unlicensed doctor has been charged with causing an outbreak of HIV and murder after lax practices resulted in at least 201 people contracting the potentially fatal disease. 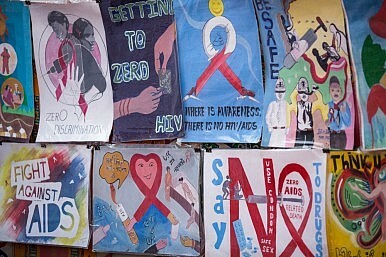 Children as young as four months and senior citizens in their 80s are among those diagnosed with the human immunodeficiency virus, since one patient who visited Yem Chroeum and tested positive in November began urging others who sought his medical help in Roka to be screened for HIV. Police have alleged that Yem Chroeum routinely re-used dirty syringes while boasting of having great healing powers when attending the poor. He was often in demand for treating high temperatures, sometimes associated with dengue fever, influenza or typhoid. Villagers said intravenous drugs and needles were used by Yem Chroeum in the treatment of common colds. TAKEO, Cambodia — The world turned blue and green as my sickle swept through rice stalks. Our gang was silent and sweating in the sultry afternoon. The only sound was the crackle of breaking stalks and the slop of feet in monsoon-fed water. An old lady, in baggy pajamas (acceptable daywear in Cambodia), stopped and whirled an armful of stalks into a binding sheaf. 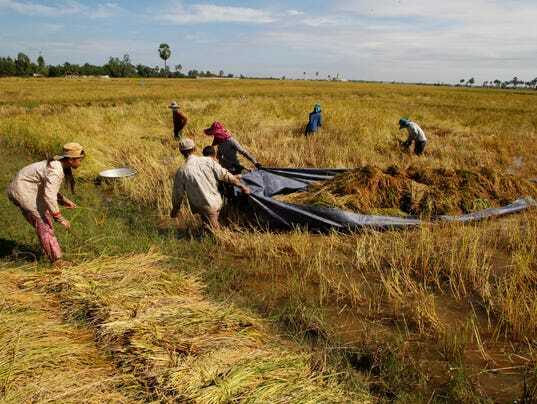 About 75% of Cambodia's 10 million people are farmers. A family typically farms just a few hectares, each of which brings in up to $1,000. 'To rejoice in the security, prosperity and happiness of one's fellow men and women, that is the truest definition of patriotism'. Over 40 bodies have been recovered from the missing AirAsia flight, the Indonesian Navy said. Objects resembling parts of the plane, as well as what was thought to be the plane’s outline underwater, were seen in the search area. “There was a man swaying on the waves. After I looked at the photo carefully on my laptop, I understood it was a human body,” a lieutenant of the Indonesian Air Force told local media. Read the full article here. Prime Minister Hun Sen’s youngest son won a months-long case last week against a man who used his name to fast-track customs clearance at the Sihanoukville port, and donated the $10,000 compensation to a local NGO. In August, Hun Many filed a complaint to the Phnom Penh Municipal Court against Reach Sothun, chairman of RSL Global Logistics, after learning that his name had been used to import ambulances into the Kingdom. Many, who is also a ruling party lawmaker, said that the use of his name had threatened his reputation. Many’s lawyer, Ly Chantola, told the Post yesterday that the trial concluded on Friday, with $10,000 awarded to Many. “We received the money on the same day; Mr Sothun was willing to pay,” he said. According to Chantola, Many donated the compensation to Taramana, an NGO assisting underprivileged children in Phnom Penh, “because he wanted to provide training classes and to facilitate accommodation”. An assistant to deputy opposition leader Kem Sokha was yesterday questioned by a party disciplinary committee after going public with allegations of corruption in the CNRP. Lak Sopheap, a Cambodia National Rescue Party central committee member, claimed over the weekend that Sokha had accused Sam Rainsy in a party meeting of accepting $20 million to negotiate with Prime Minister Hun Sen during the political deadlock earlier this year. Ou Chanrith, chairman of the CNRP’s disciplinary committee, said yesterday that the allegations were absolutely false and that Sopheap had been given a further 24 hours to “clarify” her remarks. “If she does not follow this, I will call another committee meeting to take action according to what she has done and to protect the credibility of the party’s leaders,” he said. Chanrith told the Post on Sunday that Sopheap could face dismissal for her comments, which she made at a forum held by Kem Ley’s Khmer for Khmer “social movement”. Ley’s democracy-focused movement is being pushed as an alternative to the two major parties. Sopheap – who claims she tipped off Sokha to alleged corruption in the party, but did not herself blame it on Rainsy – said she stood by her comments. “I cannot say sorry, because I have not made any mistake,” she said. “I have told them I will not resign. But if they dismiss me, then fine,” she said. When prisoners were dragged into the photo room at S-21, the brutal Khmer Rouge torture facility, photographer Nhem En could offer little solace. His life depended on staying emotionless and shooting the mug shots of each terrified prisoner exactly how his bosses wanted. En’s account of his time as a photographer in S-21 comes in a memoir due for release in the New Year. 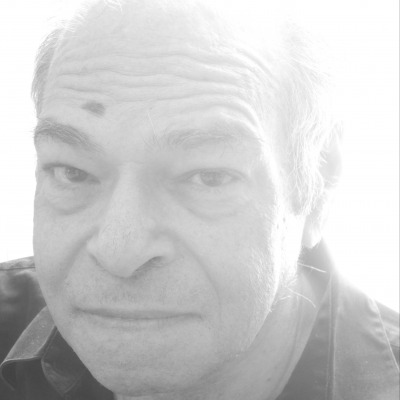 In Nhem En: The Khmer Rouge’s Photographer at S-21, the 54-year-old writes how he joined the Khmer Rouge at age 9 and was later sent to China to train as a photographer. He returned to an empty Phnom Penh when he was 14 years old and was put to work in the torture facility. 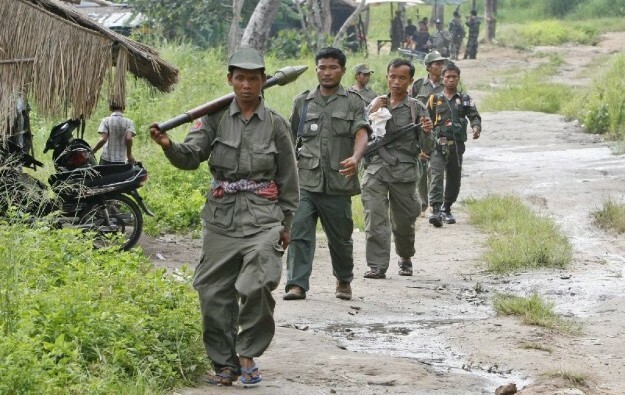 More than 12,000 people, including many Khmer Rouge cadres and a handful of foreigners, were killed after being tortured at S-21 between 1975 and 1979 under the watch of prison boss Kaing Guek Eav, alias Duch. But En was aware of up to 400 staff at the facility – other cameramen included – also being killed, he wrote. A CNRP lawmaker is urging the Ministry of Labour to intervene and help a Cambodian migrant worker who has yet to receive compensation after suffering from a work-related injury. The woman, Kong Dalin, had been working for a year on a tomato plantation owned by Yeong Nong enterprise in South Korea’s Gwangju province when she got into an accident in a company-owned vehicle on December 3 and broke her leg. CNRP’s Ky Wandara (pictured) sent a letter to the National Assembly on Sunday following a visit to Kampong Chhnang province, where the female migrant worker’s father mentioned his daughter’s situation. PHNOM PENH (The Cambodia Herald) -- Lak Sopheap, one of CNRP's vice president's personal assistant, said Tuesday that the CNRP used dictatorial power to sack her, claiming that she would not leave until there is decision from the party leaders. Sopheap was removed Sunday from the CNRP after she recently accused leadership of the party of being involved with corruption associated with USD 40 million. The ouster of Sopheap from the party was officially announced by Ou Chanrith, chairman of CNRP's disciplinary committee. "The ouster is unjust because everything is decided by chairman of Disciplinary Committee," she said. "Someone can not be ousted until there is a meeting convened by party leader and members of board of directors to vote in accordance with democracy." "Everything is from them [Sam Rainsy and Kem Sokha] who play a ball and they eventually kick the ball to me," she told the reporters. "I am so regretful over this decision by CNRP, and what I have done for the party for 20 years is for the nation, but leadership of CNRP never pay attention." PHNOM PENH, Dec. 29 (Xinhua) -- Cambodia and China on Monday signed a memorandum of understanding (MoU) on tourism strategic cooperation, aiming at attracting more Chinese visitors to Cambodia, both sides said. The deal was inked between Cambodian Tourism Minister Thong Khon and Wang Weimin, Chairman of the state-owned China International Travel Service Corp (CITS) under the presence of Cambodian Deputy Prime Minister and Cabinet Minister Sok An. Sok An said under the MoU, Cambodia's Tourism Ministry and CITS would become strategic partners in further enhancing cooperation in tourism between Cambodia and China. "The MoU is particularly focused on promoting Cambodian tourism industry to Chinese markets and facilitating CITS in establishing its branch in Cambodia," he said after the signing ceremony. "The cooperation will help attract more Chinese tourists and foreign tourists visiting China to come to Cambodia." PHNOM PENH, Dec. 29 (Xinhua) -- Chinese State Councilor Yang Jiechi arrived in the capital of Cambodia on Monday night for the second meeting of the Cambodia-China Inter-Governmental Coordination Committee, which will be held on Tuesday. Yang was welcomed by Cambodian Foreign Secretary of State Long Visalo and Chinese Ambassador to Cambodia Bu Jianguo as well as other dignitaries at Phnom Penh International Airport upon his arrival. During his stay in Cambodia, Yang and Cambodian Deputy Prime Minister and Foreign Minister Hor Namhong will co-chair the second meeting of the Cambodia-China Inter-Governmental Coordination Committee and witness the signing ceremony of eight documents for bilateral cooperation, the Cambodian Ministry of Foreign Affairs said in a news statement. The documents will be focused on the bilateral cooperation in social, economic and educational development, the statement said, adding that one of them is the Chinese donation of 200 sets of ultrasound machines to Cambodian hospitals. Yang and Namhong will also inaugurate the Chinese Cultural Mansion in Cambodia. Yang will be received in royal audience by Cambodian King Norodom Sihamoni, and pay a courtesy call on Cambodian Prime Minister Hun Sen, it said.